The EU has defined crowfunding as an emerging alternative form of financing that connects directly those who can give, lend or invest money with those who need financing for a specific project. It usually refers to open calls through the internet to the wider public to finance specific projects. Promoters of an initiative can collect funds directly. However, a web-based intermediary, a so-called ‘crowdfunding platform’, will often assist in publishing campaigns and collecting funds. In exchange, these platforms often charge a fee. While calls for funds to the public are not new, the phenomenon of using the internet to directly connect with funders emerged recently and brought significant visibility to this practice. Why use this method of funding, what are its advantages and disadvantages? 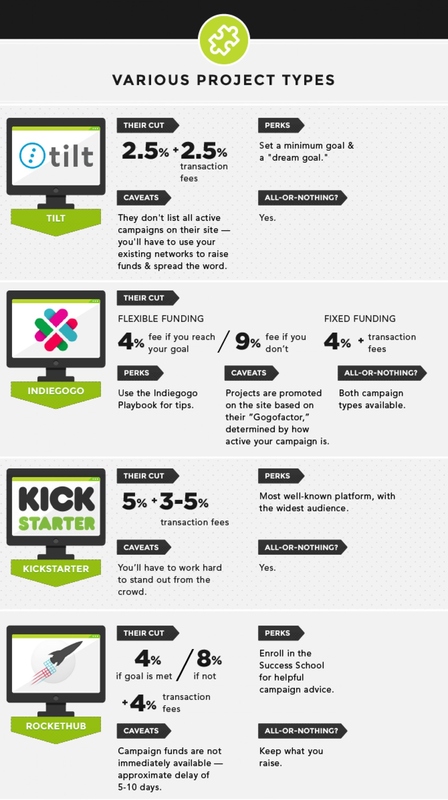 Crowdfunding is essentially a way to collect money from the public for a specific project. In the context of RadioActive, this would mean collecting money to finance a series of radio shows around a certain topic. The advantage of using crowdfunding to do this is that you will be able to present your project to your intended audience, and if they think your idea is good enough, you will be able to raise the money you need for the shows/series directly from them. The main disadvantages of using crowdfunding is that you will be competing with a lot of different projects for attention. Should your project be funded, you will be held responsible for delivery of the product you promised, on the budget and timeline you promised, by your funders. The emergence of internet crowdfunding platforms (such as Kickstarter and Indiegogo), means that the process of advertising and collecting money for your project is extremely simple (although it is still labour intensive! ), essentially following a template process provided by the websites. What do you need to organise a crowdfunding campaign? 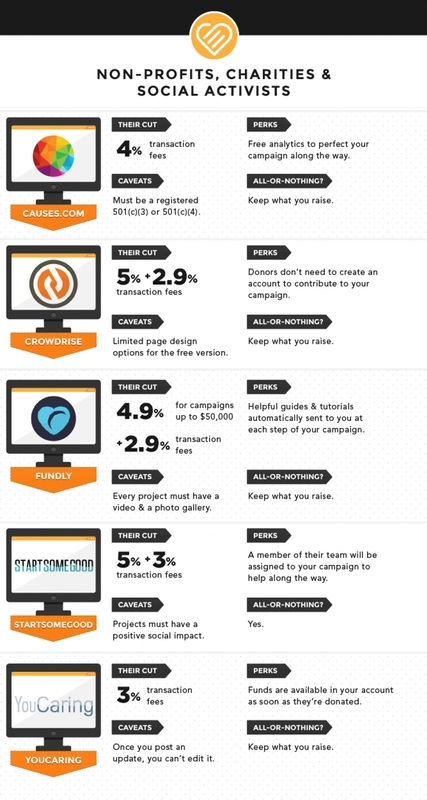 What do I need to keep in mind when organising a crowdfunding campaign? Set a Goal: How much money do you need to realistically achieve your aim? Be sure, to be realistic, consider the value of your show to your audience and the size of the network of potential donors you have access to in deciding on and setting your goal. Build a Network: Crowdfunding platforms may theoretically give you access to hundreds of thousands of potential donors, but the truth is there are just as many projects competing for their attention. In other words, you need to start from your own contacts, and from marketing the project with your own community using mouth-to-mouth and door-to-door techniques. The crowdfunding platforms will come into their own in multiplying the impact of those activities, since they will easily allow for those initial contacts to repeat your message, let their all their friends know, and collect even more donation! Record a Show: you need show your potential audience what they’re paying for. Rather than just describe this using text, we strongly suggest that you record a ‘pilot’ – a sample radio show/first show in the series, to show them what you want to do. Ideally, even create a behind-the-scenes video or blog to further promote your activities. involvement – donors who donate larger amounts may not want to just support your project from a distance, they might want to get to know you, help out in kind, and participate in the project. Offer visits, participation in radio shows and similar incentives for this class of donor. Stay Engaged with your Donors: donors are demanding people! they will ask all sorts of questions, make suggestions, ask for updates and much more. During the fundraising phase, and afterwards you have to be ready to respond to them quickly, amicably and efficiently. They will expect to get a say in return for their money, so be quick to incorporate their suggestions. Do not underestimate the work involved in engagement – you may need to amend your project plan, create extra videos or blog posts, send out regular e-mail updates, respond to comments on social media and much more.